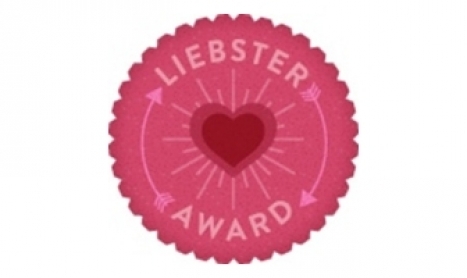 I have just been awarded the Liebster Award by Teenagethinking101!! You should check out her blog! Thank you so much! (5) Let the nominees know that you have nominated them for the award by going to their blog and notifying them. 1) What irritates you the most? 2) If there was a movie about you, what would it be rated? Who would star as you? and What would be the title? 3) What is your most embarrassing/scariest moment you have ever experienced? Wow, that’s tough. There’s been many… I’d have to say my most embarrassing moment would be when I asked a guy to go to Homecoming and he rejected me. Humiliating! 4) Describe your most recent dream. It was a scary dream that included faces being morphed sideways. I still kinda shiver at the thought. 5) How do you picture yourself in 10 years? As a journalist at the peek of my career working for a high-rank magazine. 6) If you could be any celebrity, who would it be? Why? I would be Lady Gaga, because she loves to help others, is not afraid to be herself, loves to sing, and has a daring fashion sense! She’s also into theater! 7) Describe your crush in one word. If you don’t have a crush, then describe your best friend’s crush in one word. If either you and your friend don’t have a crush, then describe yourself in one word. 8) What would be the most craziest thing you do for love or money? For love, I’d tell him, before he did. 9) List five of your favorite movies and songs. If you had supernatural human powers, what would be your powers and who would you use your powers on? My powers would be flying, super-strength, and super-smarts. I would use my powers to save people and animals all over the world. 2. What song do you think describes you and why? 3. What is the best memory you’ve ever experienced? 4. If you could have a “secret admirer”, what would he/she write for you? 5. If you could go back in time to change something that happened in your life, what would it be? Would you not change anything? 7. What do you think your life will be like the day you turn 25? 8. Are you creative? If so, what do you like to create?